Facebook announces a new streaming platform, Disney introduces a magical mixed reality experience, Google and MIT’s machine learning algorithm can edit photos better than you, and IKEA whispers to us in their latest ad campaign. There’s a lot of new, magical, and interesting things going on this week in the world of digital; Facebook’s new video streaming service “Watch”, Disney’s Magic Bench, Google and MIT’s neural network for automatic photo editing, and IKEA treats us with some ASMR. Check it out! Facebook has introduced a new original video streaming platform called “Watch” that is looking to stand up to YouTube and potentially even Netflix. 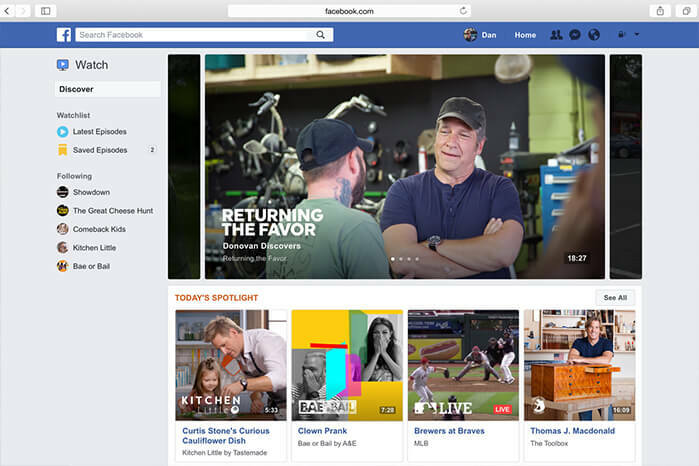 Watch will be a side tab within Facebook, grouping videos into categories like “What Friends Are Watching,” “Most Talked About,” “What’s Making People Laugh,” and more, creating a personalized hub for video content that Facebook can curate and recommend to users based on their interests. Watch is intended for longer form videos like shows from digital content creators and web series from networks like A&E. Facebook began with paying creators to produce shows for Watch, and will eventually stop funding the shows once they can generate revenue solely from ads. Currently, creators must be invited by Facebook to create content for the Watch tab, but overtime, Facebook plans to let anyone publish to it. Watch is looking to challenge the video steaming giant, YouTube, in the fight for views and ad generated revenue. Whether Netflix should be concerned, we’ll have to wait and see. Disney Research has introduced Magic Bench, an innovative mixed reality experience. Magic Bench offers an augmented reality experience where users don’t need a head mounted display or hand held device to participate. Instead, users sit on a bench facing a display with an RGB camera and depth sensors, where they can watch themselves in third person interact with animated characters on screen. Magic Bench offers a fully immersive “walk and play” experience with audio, visual and haptic feedback, allowing users to see, hear, and feel the augmented world around them. The bench is equipped with sensors and delivers vibrations synchronized with the animations on screen. 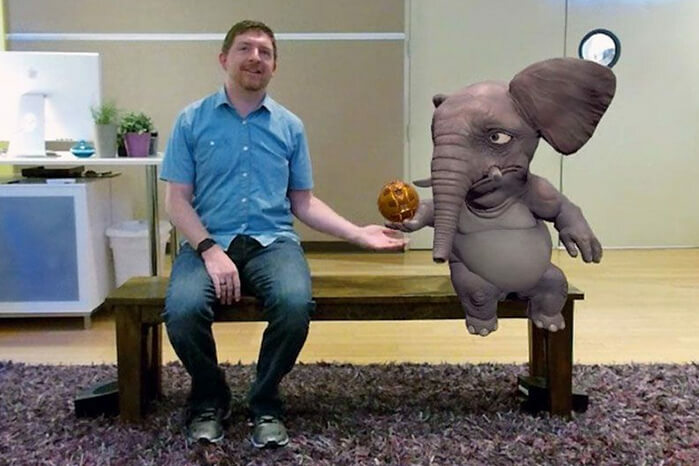 So when an animated elephant walks into the room and hops onto the bench, the person sitting on Magic Bench will feel a thud as if the character really is beside them. Although this isn’t the first “walk and play” experience, Magic Bench creatively and technologically surpasses competitors and offers a unique mixed reality experience that can be shared amongst friends at the same time. 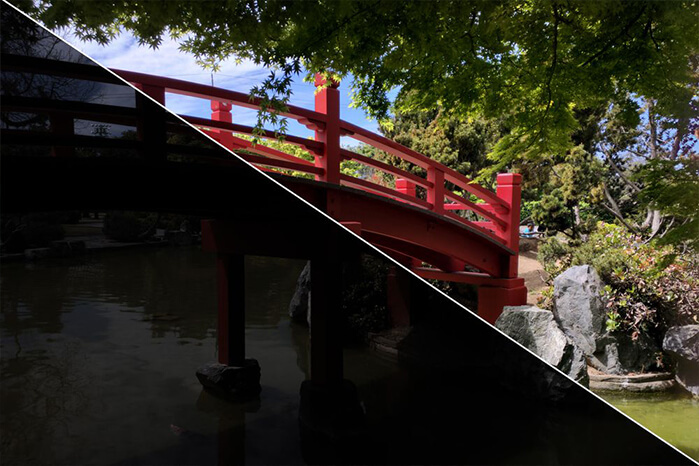 Creating the perfect Instagram photo has been simplified for the everyday user with filters, but a machine learning algorithm is taking photo editing to the next level. It’s not often that a 25 minute long advertisement is found “calming” and “oddly satisfying” by audiences. However, IKEA’s recent online campaign “Oddly IKEA” does just that. IKEA released an ASMR video that features a soothing voice whisper about IKEA products. In true ASMR fashion, the speaker caresses shelving units, presses on cushions, strokes duvet covers and taps her nails on a desk lamp while quietly talking about each product’s benefits and features. “Oddly IKEA” also features 5 shorter ASMR clips, each focusing on a single product. People have taken a liking to the campaign, commending IKEA for their inclusion of the ASMR community and for providing audiences with an advertisement that, although it lists off products and their features, is a pleasant and calming viewing experience, something that is often difficult for advertisements to accomplish.